If you’ve found minimal success with Google AdWords for your dental practice thus far, you’re not alone. We’ve worked with quite a few dentists that haven’t had much luck with Pay Per Click advertising models. The problem is not in the advertising model itself, but rather the execution. If you’ve attempted to run AdWords on your own, you’ve probably missed out on some serious insights and features that can increase success. Google generally tries to guide first time users through the “AdWords Express” setup, which is void of many important functions & features found in the full AdWords platform. I would always recommend working with a Certified Google Partner who can set up your Google AdWords campaigns using tried & true PPC best practices. Partners have shown the wisdom it takes to run successful AdWords campaigns, and have passed Google’s product certification exams. Partners can help ensure you’re using the AdWords platform to its fullest potential. But if you insist on running your campaigns like a lone wolf, this article should give you some great tips to start generating new patients from AdWords yourself. So without further ado, here are 4 ways that will help you win new patients using Google AdWords for Dentists. If you’ve been using AdWords Express for your Google pay per click efforts, you probably aren’t even familiar with the practice of creating multiple campaigns for each service you want to advertise. Within the AdWords system, each service you plan on advertising should be set up in a separate campaign, with a separate relevant landing page (& budget if desired). This way your visitor’s keyword search will match the content of the landing page, and avoid any confusion. Wouldn’t you find it a little confusing or tiresome if you performed a search for “Dental Implants Chicago,” but landed on a page about general dentistry? You should avoid sending visitors to any page that isn’t relevant to their Google keyword search. Each of your landing pages should include a clear call to action (CTA). This can include things like a special promotion, appointment request forms and phone number. You will want to make sure that your pages aren’t cluttered and filled with too many CTA’s. You will also want to make sure that you include your phone number or form box in the header and footer of the site, since this is where people generally tend to look. An A/B test is simply an experiment that is set up to test 2 or more similar web pages against each other. You should test different landing pages for conversions whenever possible. This way you can find out which pages perform best for converting visitors to new patients. Again if you’re the lone wolf, do-it-yourself type, there are plenty of tools out there to test different landing pages for performance. I’m going to assume that you know very little about building websites/pages and that you might not even have the ability to edit your own website. If this is the case, I personally love Instapage for it’s easy landing page setup and integrations. First, let me explain what I mean by getting ‘hyper focused’ with geographical targeting. Most dentists (and dental marketing companies for that matter) will generally set up a radius around your office to target your ads. I wouldn’t say this is an altogether bad strategy, but it’s kind of a lazy one in certain circumstances. Let’s say for instance that your practice focuses on prosthodontics and has options for many elective cosmetic procedures. A good target demographic for your highly specialized, elective procedure campaigns, might be more affluent areas located within a 20 mile driving distance of your practice. Setting up a general radius in your AdWords targeting will include anyone and everyone within a given radius (a basic circle mile radius around your office). Instead, try focusing your geo-targeting on the right ZIP codes that match your target demographic. You can then exclude ZIP codes that you think won’t match your target audience. If you wanted to target specific campaigns to affluent areas, you can use a nifty little website called Income By ZIP Code. There are many other methods and website tools that will help you get granular and hyper focused with your targeting. If you’re looking for more ideas, reach out to Elevate DDS today! Google AdWords allows for many different options when it comes to scheduling and running your ads. You can choose to spend your budget all at once during a given time period each day. This might be helpful if your goal is to drive as many calls to your office as possible, while your staff is able to man the phones. Generating calls to a live operator during business hours can help encourage appointments or consultations. You can also choose to space your budget out over time, spending money over the course of a full day. This method can work great if you don’t have a preference for live operator calls. Form submissions from potential patients can always be followed up on the next morning, if the submission came in after hours. If you have a desire to be cost conscious with your budget, you can try and time your ads to start running after your competitors ads have stopped running. This tactic can typically lead to lower CPC’s (cost per click) and overall cost savings. This is because AdWords works on a live bid model. Meaning that CPC’s rise when more competitors are bidding on the same terms. CPC’s fall when less people are bidding on the same keyword terms. And since most dental offices like to run ads during their business hours, CPC’s can cost much less on average after your competitors have closed up for the day. Phrase match allows your campaigns to match to keyword searches for miss-spellings and reverse order searches. Meaning that the keywords are the same, but might be in a different order (“dental implants Chicago” vs. “Chicago Dental Implants”). Broad match then allows your ads to show for keyword searches that Google might think are relative or relevant to the keywords in your campaigns. But there is no guarantee they are relevant, or have anything at all to do with dentistry. The biggest connection that comes to mind is “dental implants” vs. “breast implants.” Google can make the connection through the word “implant” because people search multiple keyword variations of both procedures. This is where negative keywords come into play. Negative keywords can be added to your campaigns so that your ads WILL NOT show in broad match scenarios such as the one I just mentioned. Keeping an eye on what keywords triggered your ads, and consistently updating your negative keyword list, will help you eliminate wasteful spending in your Google AdWords campaigns. 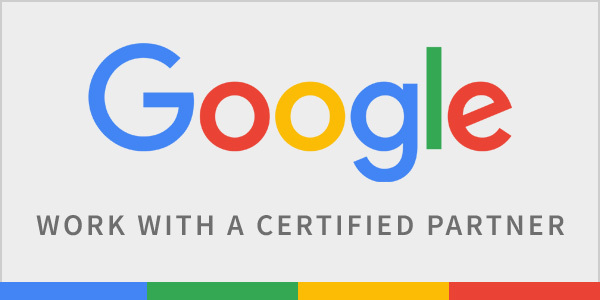 Elevate DDS has shown the knowledge and aptitude to become a certified Google Partner for AdWords advertising. Find out how we can help you bring in new patients today! At Elevate DDS our AdWords experts have worked across multiple industries and handled client budgets in excess of $10 Million per year. We’ve carried this expertise over to the dental industry and employ the same best practices we’ve used for Fortune 500 companies. We will eliminate the guess work involved in Pay Per Click advertising and get your campaign set up properly. Please feel free to contact us for more information or pricing today! Are you ready for a certified Google Partner to bring in new patients to your practice? I'm Ready For New Patients!